Does AURICAL Support Pediatric Fitting? Wendy Switalski: Yes. AURICAL and OTOsuite are very intuitive, and have flexible user test designs with predefined measurement sequences that allow you to customize your coupler-based fitting process. We include the latest versions of NAL-NL2 and DSL 5.0, and give you the option of adding your own protocols to the test library. 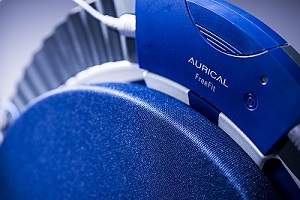 For the real ear portion of the process, AURICAL FreeFit™ enables you to measure RECD simultaneously for both ears. In addition, you can start the measurement of the ear response without having to be near the computer – just press a button on the wireless FreeFit to start the measurement. Simple things like the ability to copy a measured RECD to the opposite ear, or easy application of previously measured RECDs to a current session can mean huge time savings. Mona Dworsack-Dodge: For measuring the coupler response, AURICAL HIT is easy to use. The OnePosition™ method makes it simple to place the hearing instrument correctly inside the chamber. The hearing instrument test (HIT) is a separate unit independent from other AURICAL components and powered from a USB connection, so it can be placed anywhere, even in offices with limited space. In addition, the coupler values are stored in the AURICAL FreeFit probes so that the coupler portion of the RECD doesn’t have to be measured with every patient. In fact, the coupler doesn’t need to be present during the real ear portion. RECD measurements can then be easily used in coupler-based fitting. OTOsuite software allows you to apply essentially the same workflow within the software whether a fitting is being carried out on the ear or in the coupler. It is as simple as switching between real ear and coupler mode. OTOsuite handles all conversions and compensations necessary to ensure precision and accuracy. Conducting dynamic coupler-based fitting, even for adult patients, can facilitate accurate pre-programming for hearing instruments, so that you have more time for counseling during the fitting session. This Ask the Expert is an excerpt from an AudiologyOnline interview about AURICAL. For more information, please visit www.audiologysystems.com or the Audiology Systems Expo Page on AudiologyOnline. Wendy Switalski, Au.D. is the audiology development manager at Audiology Systems Inc. Prior to joining the company, Dr. Switalski owned a private audiology practice in metro-Detroit and served as a consultant to Otometrics, a leading manufacturer of hearing and balance equipment. She currently provides quarterly audiology care for the South Pacific territory of American Samoa. Dr. Switalski holds a master’s degree in audiology from the University of Northern Colorado, an M.B.A. from Saginaw Valley State University, and a doctor of audiology degreefrom the Pennsylvania College of Optometry School of Audiology. Mona Dworsack-Dodge, Au.D. is a Senior Audiologist for Otometrics Denmark. Clinically she has been Coordinator of Electrophysiology/Senior Audiologist and Director of the Newborn Hearing Screening Program at the University of California Los Angeles Medical Center, Pediatric Audiologist in the House Ear Institute CARE Center and Screening Coordinator in its Southern California Hearing Coordination Center. She has been Western Area Program Specialist for Bio-logic. Mona served on the National Initiative for Children’s Healthcare Quality- Medical Home Collaborative and is on the American Academy of Audiology-Guidelines for Infant Pediatric Assessment Taskforce. She holds a Master’s degree from Arizona State University and a Doctor of Audiology degree from University of Florida. Studies have demonstrated variability of fittings for the same hearing loss across hearing instrument manufacturers. This course discusses how familiarity with input parameters and their impact on the target allows clinicians to quickly recognize and reconcile sources of variability and improve patient outcomes. On a daily basis, many Audiologists encounter patients who suffer from tinnitus and it’s not uncommon for the Audiologist to be the first healthcare provider the patient sees. Though the Audiologist may not specialize in tinnitus evaluation or treatment, as the initial medical contact it’s important that adequate evaluation of symptoms occurs. An audiometer with an integrated tinnitus test modality expands treatment and evaluation possibilities. These tools can be helpful in counseling and determining the next steps for the patient. When evaluating behavioral hearing thresholds in children it's imperative to maintain the patient's attention to stimuli. In-booth controls incorporating pediatric specific tools facilitate fast and accurate testing. The addition of a different narrow band noise (NBN), known as FREquency Specific Hearing assessment (FRESH), overcomes potential limitations of traditional NBN. NBN can underestimate thresholds at a given frequency due to wider filters. This learning module will review pediatric sound field testing guidelines, stimulus effects, and improved workflow with computerized audiometry. The purpose of this course is to provide an in-depth discussion of the caloric testing portion of the VNG/ENG test battery. Content will include descriptions of testing procedures, analysis and interpretation of results.